A graduate member of the Tomahawk High School Class of 1977 participating in track for 4 years, cross country for 2 years, cheerleading for 2 years, and basketball 1 year. Suzie shared the distinction as Salutatorian of her class. While in cross country she was a two time individual state champion who led her team to a 6th and 1 st place finish. She was the first female cross country state champion at a time when there were no female divisions. She was so dominant in cross country that she never lost a race in a Hatchet uniform. Additionally, Suzie was a six time state entry in track and ended her high school career as the Class B 880 and Mile state champion. Suzie continued her athletic career at UW-Madison competing and lettering in track, indoor track, and cross country all 4 of her college years. She received 20 Big Ten Conference place finishers, 6 Big Ten individual championships, 5 Big Ten team championships, 16 time National Qualifier, 16 time National place winner, she was a member of the 1978 Indoor Track National Championship team and received 2 All-American honors. 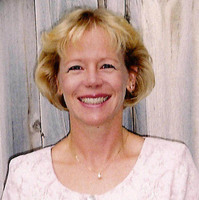 Suzie graduated "With Distinction" from the UW School of Pharmacy in 1982 with a 3.667 GPA and was the 1982 recipient of the Wisconsin Pharmaceutical Auxiliary Award. Suzie completed her 1 year internship at Loyola University Medical Center. She became a pharmacist in 1983 and worked at the Loyola Medical Center until 1986.